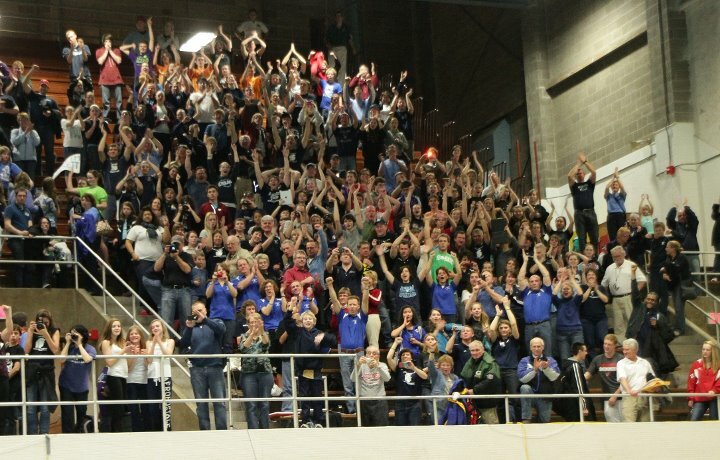 In mid-February we packed the stands of the UW-Natatorium in Madison to support our high school swim team capture its sixth straight Division 2 State Swimming & Diving championship. What a date night! 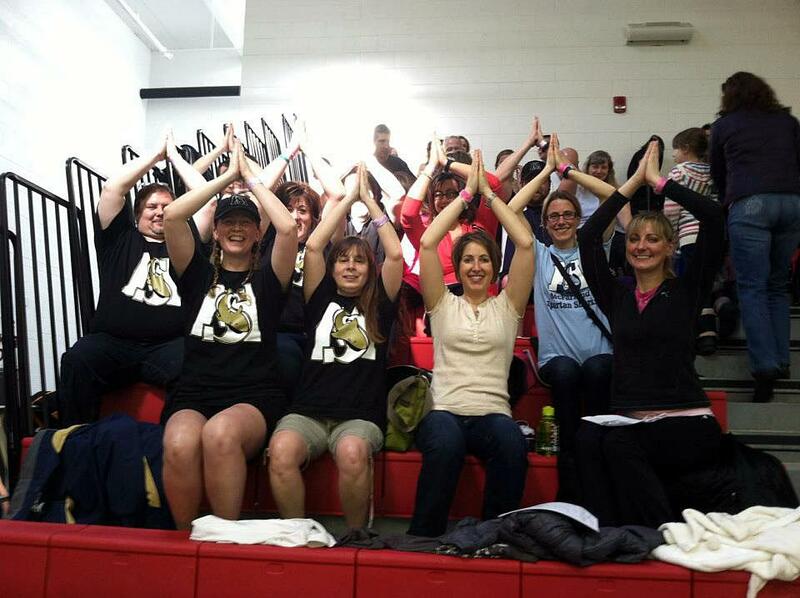 It was so much fun cheering in the stands! The next morning the entire family was up early and headed to Regionals in Middleton to cheer for our son Truitt who was going for a state cut in the 50 Back. This was the last chance to qualify for the 2012 12 and Under Short Course Swim Championships -- and he made it! I actually squealed I was so excited. Truitt didn't know what time he needed, and he can't read the clock without glasses, so he didn't know he made the cut. Two teammates passed him on their way to the blocks and said, "hey nice state cut!" And Truitt did a huge fist pump and celebrated, SO much fun to watch as a parent. 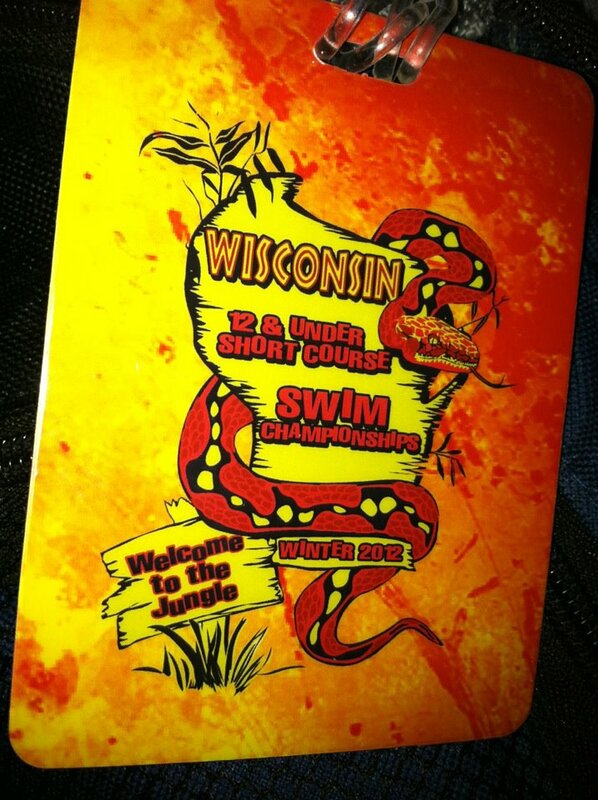 State was the next weekend in Waukesha and was like a Spring Break for our family, two nights in a hotel! Truitt swam three events as he had two bonus swims. He was nervous and excited. The first day he took 2.28 sec off his 100 Breast and 4.64 sec off his 100 Back. He added a tiny bit on Sunday in his 50 Back swimming his second best time (39.5). 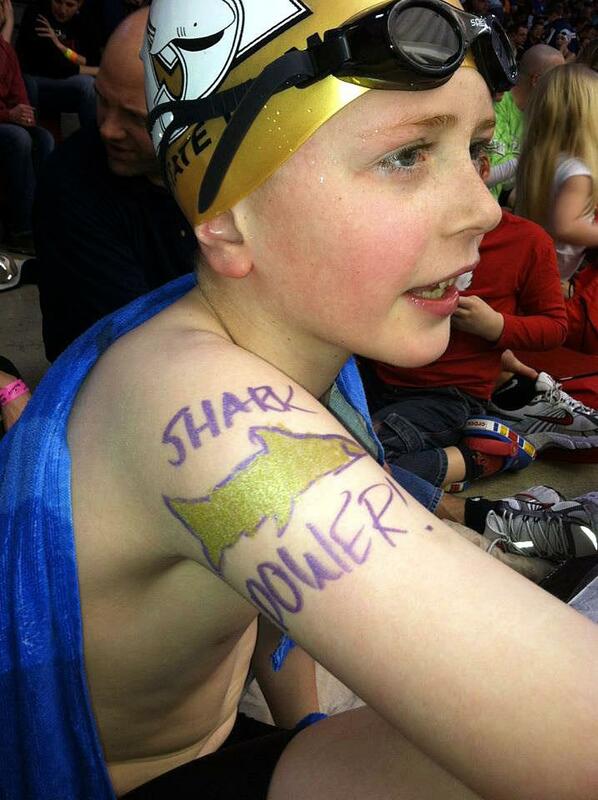 We're proud of him and of our fellow Shark swimmers - Shark Power! - What sports do you enjoy as a family? - What sports did you play in high school? The Color Run - Brilliant!